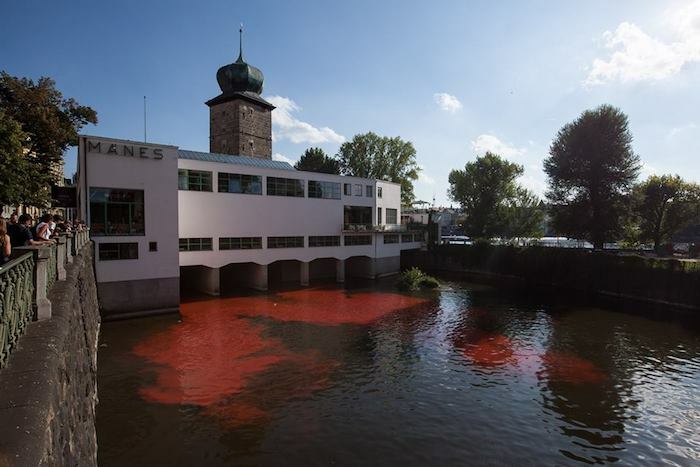 Activists from a group known as Bolt958 have poured an unidentified red liquid into the Vltava River by Mánes Exhibition Hall, claiming that the famous art space “was bleeding”. 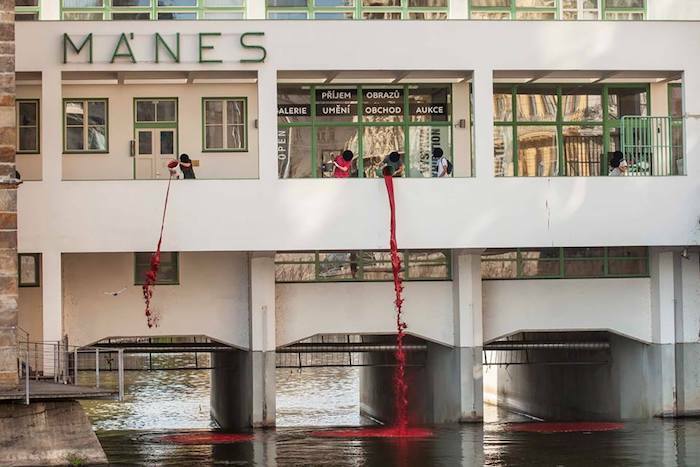 Throughout Monday, the Vltava river was infused with a blood-red colour, which stretched all the way downstream to the nearby National Theatre. Monday's act recalls David Černý's giant, purple middle finger installaton that floated down the same river in 2012, aimed at President Miloš Zeman and his then newly assembled government. According to Bolt958, the act was in protest over misuse of the historic exhibition hall by its management, who have allowed the building to accommodate commercial and other non-artistic initiatives. This provocation is the latest in a long litany of criticisms levelled at the art gallery's management which, among others, includes comments on their lack of integration with the wider art community and the board's general lack of transparency. 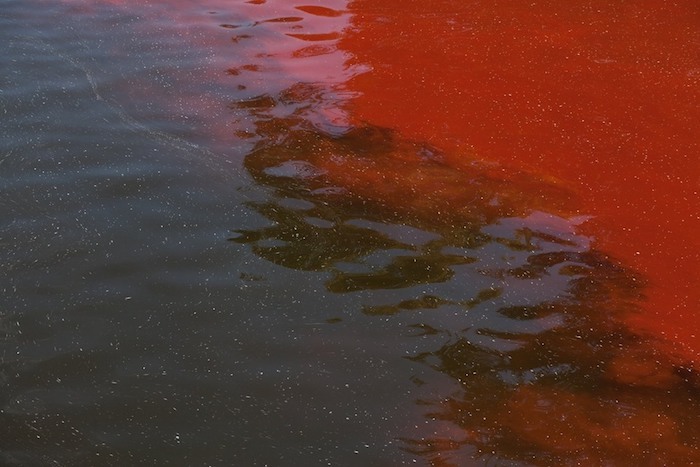 Meanwhile, the police have confirmed that the red substance was not dangerous and would not have negatively impacted the environment. As such, no crime has been committed and no charges will be brought against the group.